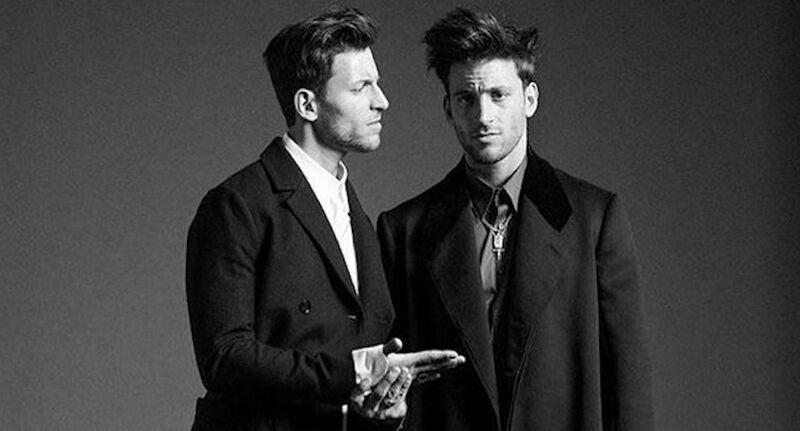 Photography by Frederico Martins, the twins Jonathan and Kevin styled in Cerruti 1881, Lanvin and wearing Portuguese Soul. @portuguesesoul is the fashion department of Portuguese Shoes, a Portuguese Footwear, Components, Leather Goods Manufacturers’ Association – is a nation-wide association based in Porto, Portugal, founded in 1975 and representing the following business sectors: Footwear industry, Footwear components industry, Leather goods industry (bags, wallets, gloves, belts, etc.) and Equipment for the above mentioned sectors. For the black and white photography, Martins reflects the unity and how complex can be a twin, specially a famous twin. Recently Kevin starred the cover for Harper’s Bazaar Man Serbia November 2018, with a photography by Boris Kralj, including a footage and film. Is a dramatic representation starring by Kevin and Jonathan Sampaio, famous Top Models for starring the most outstanding fashion brands like Versace, Gucci, Tom Ford walking for Armani and countless luxury brands. The Models are signed by We Are Models is a Lisboa based Model Agency with a unique approach within the Fashion industry. The stunning photography shines for itself, you can see it clear here, Kevin and Jonathan exudes beauty, and can be acting how eloquent can be the twins in front of the lens. Styled by Nelly Gonçalves using Tom Ford, Michael Hors, Cerruti 1881, Lanvin among others, she teased on Insta a pic of the twins on July. The Twins got an incredible year so far, we can’t wait to see more of their work together, because both together can create great things. Thanks for help us to continue for a site running free of ads.